Want to grow a significant portion of your family's produce at home, and add beauty and value to your home at the same time? Let Planting Justice come in and help you transform your yard into an abundant edible landscape and living classroom for you and your friends and family to learn permaculture techniques and bio-intensive organic gardening! 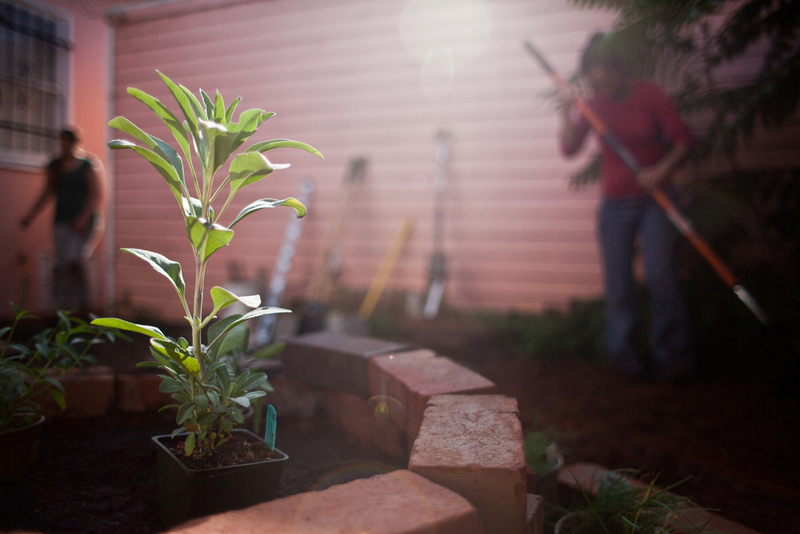 Our permaculture designers and edible landscapers have experience maximizing food production in urban spaces in the Bay Area. So far we have built over 250 edible urban gardens in the Bay Area. During a consultation, Planting Justice will help you assess what elements will be most functional for your space and needs. By hiring Planting Justice to create a permaculture garden for you and your family, you are supporting this organization and this movement for local organic food, and helping Planting Justice provide green jobs for local youth that train them for a future in permaculture design and urban farming. First, we'll create a customized permaculture design that maximizes beauty, food production, and efficient use of your space. See a sampling of past designs here. We'll then come in with our team and install the garden. We'll mentor you throughout the first year so you can learn as much as possible throughout the process. Above: ONE DAY. 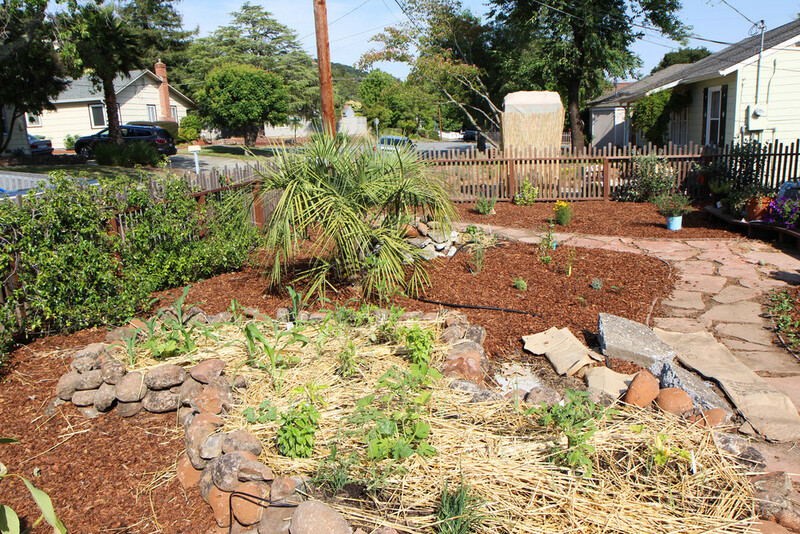 Nine people; 2000 square feet of cardboard; 18 cubic yards of compost and mulch; hundreds of veggies, herbs, flowers, fruit trees, and shrubs; 9 burritos = the most incredible front yard mini-farm in Richmond, CA! Sheet mulching at its best!